AMANA TOURISM SERVICES CO. was founded in 2002 and has quickly established itself as a leading provider of related travel services for the inbound/outbound industry and leisure travel sectors, earning accreditations from International Air Transport Association (IATA). Firstly, the business was formed to meet the internal travel requirements of Munir Sukhtian Group. 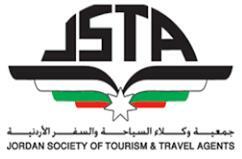 Over the last Sixteen years, AMANA TOURISM SERVICES CO. has been developed into a one-stop source of comprehensive travel services and an integrated travel business, covering corporate travel services, international ticketing, inbound division for exploring Jordan, and a Leisure division offering a wide range of holiday packages.